With recreational marijuana sales becoming legal in Massachusetts in July, expect an influx of out-of-state residents for cannabis celebrations next April 20. It’s a beloved holiday full of feel-good songs, feasting, and friends gathered around fragrant green trees. But unlike Christmas, this is an herb-centric, non-denominational celebration that is growing in popularity and helping to drive tourism in states where recreational marijuana is legal. April 20 at 4:20 p.m is the most wonderful time of the year for those who enjoy spending time with their dear friend Mary Jane. 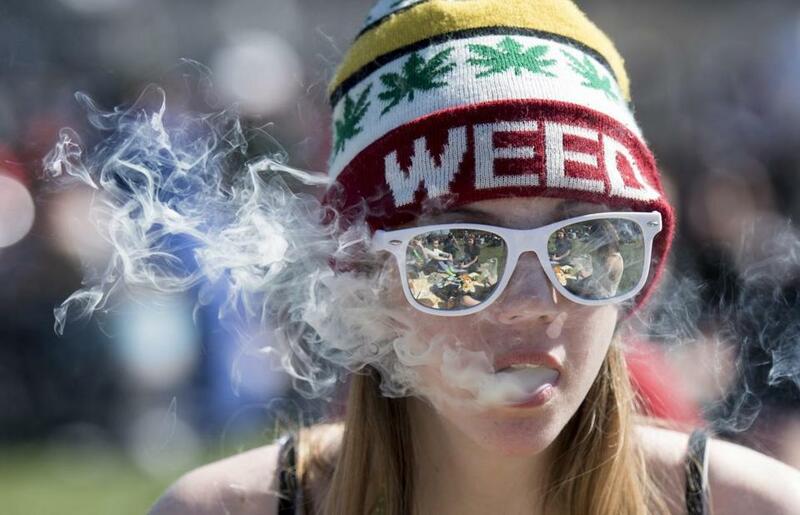 It’s the date when pot smokers around the world open their stash and call in sick to work. But now 420 involves much more than listening to Phish and eating Pringles. People are traveling to cannabis hotspots to enjoy events such as gourmet meals with wine and pot pairings. For the virtuous among you who are unfamiliar with the digits, 420 is the not-so-secret code for marijuana consumption. The April 20 celebrations have been going on for decades, but cannabis analysts are noticing that as recreational pot becomes legal, 420 events around the country are getting more diverse and sophisticated. Cannabis infused dumpling platters anyone? How about a 420 hike or pot-themed burlesque? Gone are the hazy days when 420 celebrations were little more than klatches of roustabouts gathered in parks clandestinely lighting up in defiance of the law. This year you can find pot-themed film festivals, 420 fashion weeks, puff and paint nights, marijuana-themed spa experiences, and even classes where you can learn to roll both joints and sushi. There is no shortage of concerts and festivals featuring hip-hop royalty such as Ice Cube and Snoop Dogg. A comprehensive source for state-by-state celebrations can be found at potguide.com. There are still plenty of rallies, concerts, and parades in states where marijuana is not yet legal, but April 20 is quickly evolving from protest to party. Unfortunately for those of us on the East Coast, the grass is currently greener on the other side of the Rocky Mountains because many of the more inventive 420 events are happening where recreational marijuana is legal to both sell and consume. The majority of those states are out west, such as Colorado, California, and Nevada. Colorado is the true epicenter of the day with dozens of festivals, concerts, and even a pot bingo night. Recreational marijuana sales become legal in Massachusetts in July. Earlier this week nearly 200 business applied to sell recreational marijuana. All applications were accepted. That means next year April 20 is going to be a big deal in Massachusetts with an influx of out-of-state residents flooding in to celebrate. Fingers crossed that Boston gets a pot bingo night. Before we enter the smoky fray of cannabis tourism, it’s time for a history lesson. Perhaps you’ve wondered why the numbers 420 have come to symbolize consumption of alligator cigarettes (that means joints). Legends abound. One of the more popular theories is that 420 is code among police officers for “marijuana smoking in progress.” Some go as far as to cite Bob Dylan’s song “Rainy Day Women #12 & 35,” which includes the chorus “Everybody must get stoned,” because 12 multiplied by 35 equals 420. Let me be blunt, those rumors are false. The Huffington Post has been at the forefront of debunking the rumors, and, according to its research, the term originated with a group of high school students in San Rafael, Calif., in 1971. According to the tale, the students regularly gathered after school at 4:20 to indulge. The story is a bit more intricate (there was a treasure map and a hidden patch of pot somewhere), but you get the idea. Nearly 50 years later, pot culture is long past the Cheech and Chong and the Grateful Dead stereotypes of the 1960s and 1970s. People are now looking for meals that include pasta tossed with pesto made from THC-infused olive oil, or perhaps a posh 420-themed wedding with a leafy bouquet. There are no firm numbers (yet) specifically analyzing April 20 cannabis tourism, but Colorado has been experiencing a year-round economic high since legalization. Colorado marijuana shops raked in a record $1.51 billion sales of medical and recreational cannabis, edibles, and concentrate products during 2017, according to Colorado Department of Revenue. The state collected upward of $247 million in taxes and fees revenue from marijuana sales. Canada is currently on track to legalize marijuana late this summer, adding another April 20 destination for cannabis enthusiasts. It’s a celebration that those in the industry predict will only balloon over time. Christopher Muther can be reached at muther@globe.com. Follow him on Twitter @Chris_Mutherand on Instagran @Chris_Muther.